Just in case you haven't realized that I am an enormous dork, here I am posing with my 1st Edition Monster Manuals. The same ones, I should add, that I played with as a child. If you think I'm retyping all the text on this shirt, think again. Just go over to flickr and look at the large size, 'cause it's quite legible. 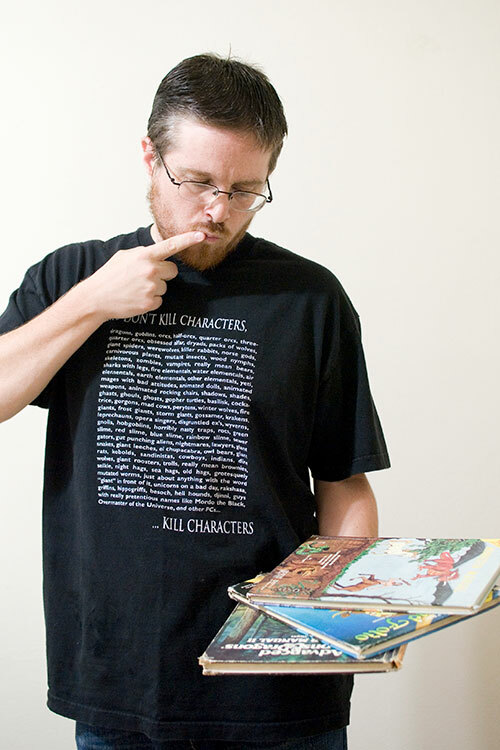 A "GMs Don't Kill Characters..." t-shirt from www.pandahead.com, and a 30th birthday present from my buddy Bayani.